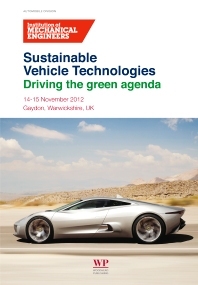 This book contains the papers from the IMechE’s Sustainable Vehicle Technologies 2012 conference. An innovative technical conference organised by the Automobile Division of the IMechE, it follows on from the 2009 Low Carbon Vehicle conference, which established a high standard with presentations primarily focussed on powertrain technology. The conference examines the latest advances in technology with a view towards understanding the consequences of carbon dioxide reduction over the entire vehicle lifecycle. Papers cover all aspects of the finite resources available for vehicle production, operation and recycling. 5 What is an attribute and why is it important?